Located 3 minutes from Lyon Part Dieu train station, our 4-star hotel offers you a comfortable stay in the heart of the business district. The hotel's 108 spacious and air-conditioned rooms each have a private bathroom, LCD TV, tea and coffee-making facil ities and free WIFI. The Mercure Lyon Centre Part Dieu hotel also has a wine bar where you can relax. An underground car park (subject to charge) is available for easy city parking, and a shuttle service to the airport can be arranged on request. 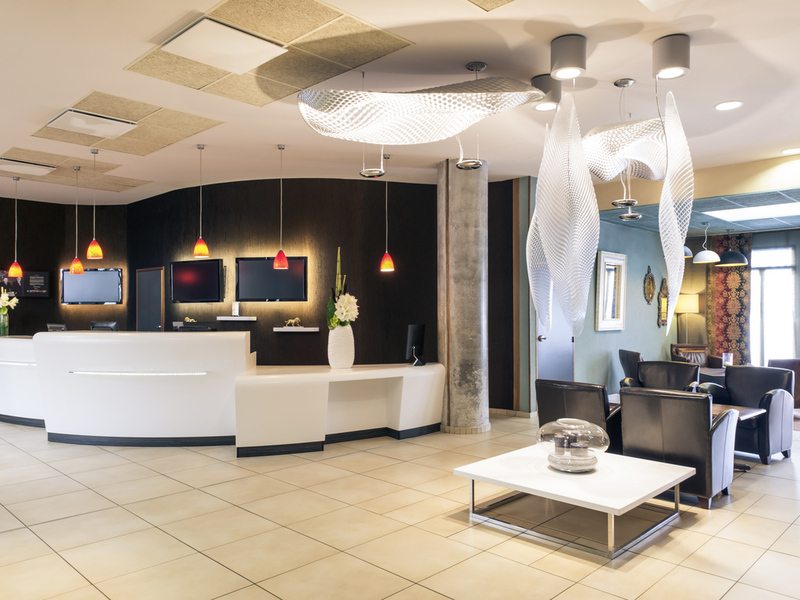 About 15 minutes from the exhibition grounds and close to the historical old town, Mercure Lyon Part-Dieu is an ideal destination for your business trips. To unwind after a day's work, explore the banks of the Saône and the Botanical Gardens. The Vin Gourmand bar is open Monday to Sunday, 11am to midnight.